32 patiens from Riverside Rehabilitation Hospital and Select Specialty Hospital were relocated to another Riverside location outside of the evacuation zone. Two Newport News hospital relocated 32 patients to a different Riverside facility outside of the evacuation zone as Hurricane Florence approaches the east coast. NEWPORT NEWS, Va. (WVEC) — Download the 13News Now App. As Governor Ralph Northam's mandatory evacuation of Zone A because of Hurricane Florence remains in effect, medical centers are putting their patients first. 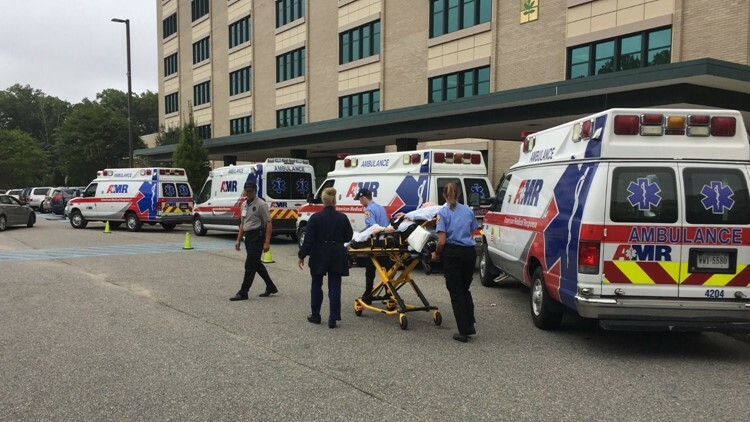 Riverside Rehabilitation Hospital and Select Specialty Hospital in Zone A of Newport News evacuated 32 patients. The move from the two centers that share a building on Chesapeake Avenue started around 9 a.m. Thursday morning and wrapped up about six hours later. The patients were relocated to Riverside Regional Medical Center in Newport News where construction on a new addition had just finished making the move possible. Officials are hoping to move the patients back on Monday, but it all depends on Hurricane Florence and the storm's impacts on the area. Governor Northam would have to lift the evacuation order for the patients to be taken back to their original facilities.